Burlesque artist Dita Von Teese fielded our questions earlier this week and we ended up chatting about everything from old cars to why she abhors stylists to the new coffret she designed for Cointreau. Prepare yourself to read all about the woman, the mystery: Dita Von Teese, part 1. HP: How do you get ready in the morning? DVT: It depends upon what I'm going to do. 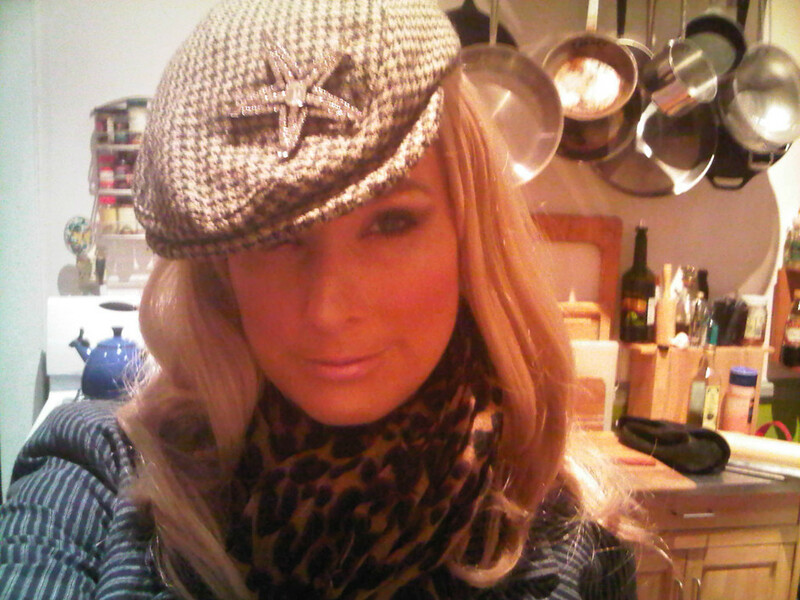 I think a lot of people really think I spend a lot of time getting ready to go out but I don't on a day-to-day basis. For me, my typical routine -- first, I work out, I go to Pilates, sometimes I ride my bike, I'll come back home, shower and I usually put my hair in a very simple French twist or chignon, a little sweep of powder, red lipstick and big sunglasses and some kind of dress with either heels or ballet flats, depending on what my day is like....But I always believe in taking a little bit of time. I'm telling you, the day that you decide not to brush your hair, or the day you decide just to put on a pair of sweats that have a stain on them and you don't wear any makeup, that might be the day that you run into that one person you don't want to run into when you look like that. So I have a rule about making an effort in the morning before I leave no matter where I'm going. HP: And what about when you're going out to an event? DVT: When I know I'm going to be photographed, I would spend more time and I would put on more makeup but I still never spend more than an hour getting ready and my maximum timeframe for getting full-on red carpet ready is about a hour and a half because in that hour and a half I might have to safety pin my own dress because, you know, I don't use a stylist and I do my own hair and makeup. I like to listen to nice music and I might mix a cocktail. I like to have ample time....I've sat in the hair and makeup chair and had people fussing around me to get me ready for an event before and they get there like six hours before the event and I just can't be bothered. It takes all of the fun out of the ritual of creation and being a woman...so that's one of the reasons why I don't employ the glam squad that a lot of celebrities do. HP: Have you ever had a stylist? DVF: I had stylists for about three hours once. I felt like there was one point, it was probably about eight years ago, my former husband was working with a stylist of course because he always had stylists, and she said to me once, 'Hey, I can help you with your closets.' And I was like, 'Oh, ok, ok,' and so she came in to my closet and I remember she picked up a pair of 1930s shoes and I remember she said, you know, 'These would look so cute if you wore them with jeans,' and I thought, I don't even have a pair of jeans, I don't wear jeans. And it was sort of that moment that I thought a stylist is someone who puts what they think is good on someone else and I know what I should wear and what I shouldn't wear. And I like the process of coming up with outfits and it was just sort of an a-ha moment like, you don't need to buy into this thing that Hollywood believes in, which is that you need someone to reassure you that you're doing the right thing. I'm doing the right thing. If I'm not, I'm only going to blame myself....At least I can say I made a bad choice, but it was my own bad choice, not someone that got paid thousands and thousands of dollars to do it for me. HP: So, when is the last time you wore a pair of jeans? DVT: I wore them on Halloween. Every year for Halloween I dress up as a normal girl. So this year, I wore jeans and little fleece-trimmed Ugg boot-type things and a t-shirt and a blonde wig and a tan....I went to a big party here in L.A. I went completely unrecognized, which was awesome. Not one person knew it was me. I was with my friend who's a famous TV star and everyone was saying, 'Can I take a picture of you?' to him and no one asked me for a picture which was really great. HP: Talk to me a little bit about your work with Cointreau. DVT: I've been Brand Ambassador for Cointreau for a couple of years now and we've done lots of special projects together. I created a special version of my martini glass act for Cointreau, I worked on a few specialty Cointreau bar kits, but this one, the coffret is especially my favorite because it's definitely for a glamourous lady who wants a little glamour infused into her life, it's a beautiful, lingerie-inspired jewel box and it comes with special edition glasses and a martini shaker and a bottle of Cointreau and it's also about the idea of doing a boudoir bar. 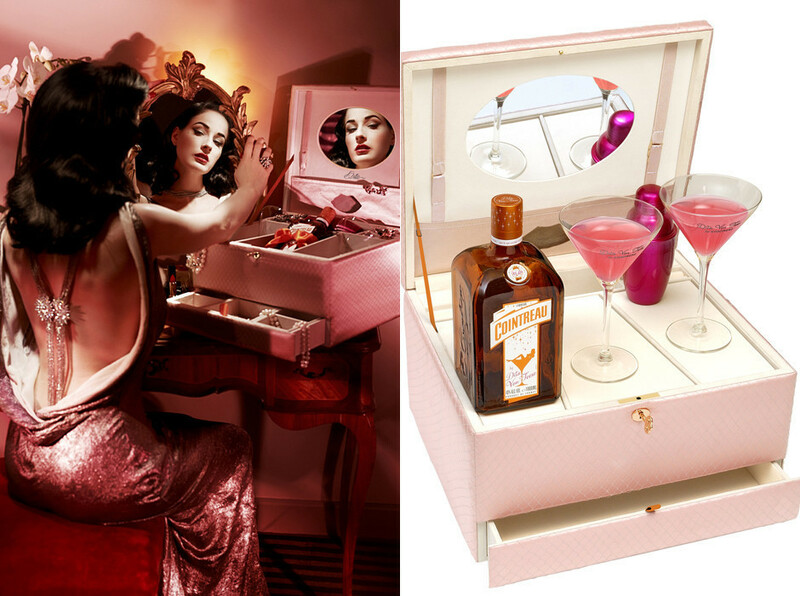 You can mix a drink in your bedroom or you can just enjoy the Cointreau and after use it as a vanity or jewel box or somewhere to keep your most precious secrets -- there's a few secret compartments -- and it also locks. So that's was the whole idea behind the coffret. Look for part 2 of our interview on Monday, in which we discuss Dita's style as a teenager, her light-up closets and her thoughts on runway models.